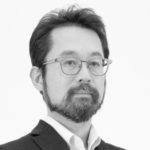 Graduate of Meiji University, School of Political Science and Economics, Takayuki Ando joined TBS-BRITANNICA Co., Ltd. (CCC Media House Co., Ltd.) in 1995 after working as a newspaper reporter and editor of a business magazine. He was first published by the New Magazine Development Department in Pen in 1996. He was promoted to associate editor in 2001 and has held his current position as chief editor in PEN since 2005. He was appointed editorial director in 2015 and has been holding both positions since then. 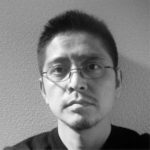 Graduate of Osaka University, School of Foreign Studies, Katsutoshi Ishibashi was first published in 1996 by AXIS, a bilingual design magazine, and has worked as chief editor since 1998. AXIS offers all kinds of products and services including architecture, urban fashion, state-of-the-art science, and Medicine, grasping all kinds of social phenomenon from a design perspective. Graduate of Waseda University, School of Political Science and Economics, Yuji Hanazawa joined Nikkei Business Publications. Inc. He worked in Nikkei Business, NIKKEI RESTAURANTS, Nikkei Venture (currently NIKKEI TOP LEADER), Nikkei Information Strategy, and Nikkei Ecology. He was responsible for interviews on management and design in NIKKEI DESIGN since 2011. He has held his current position since October 2016. 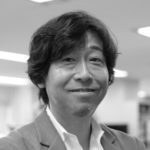 Graduate of Keio University, School of Economics, Shigenori Hamaguchi joined Heibonsha Limited,Publshers in 1994 where he was responsible for editing in Gekkan Taiyo, a graphic design magazine. In 2001, he joined Bungeishunju. Ltd. In 2005, he was appointed chief editor in TITLE, a lifestyle magazine, after working as a copy editor in CREA, a magazine for women. He was transferred to Conde Nast Japan in 2008 and appointed chief editor in GQ Japan. He then worked as a freelance editor and later joined HEARST fujingaho Co., Ltd. as editorial adviser in 2013. He has held his current position since July 2014. 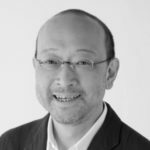 Graduate of Hokkaido University, School of Education, Yasushi Yamazaki pursued his interest in design and joined TANSEISHA Co., Ltd., a major interior decoration company. In 1997, he established JDN, an internet-based internal venture company that handles design. He played a key role in establishing the business by building a customer base from scratch collectively with news coverage and column writing. He has been a board member at JDN Co. Ltd. since 2011. He has held his current position since his appointment as chief editor in the contest medium Tou-Ryu-Mon and JDN. 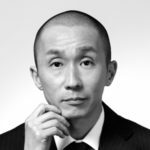 Graduate of Musashino Art University, Callege of Art and Design , Hideyoshi Nagoya started to work in the Advertising Department in Takashimaya, and for Marna Co. Ltd. as managing director and planning office director , being responsible for management, product development, product marketing and design strategy. He previously worked as a design assistant under the direction of the designer PER SCHMØLCHER. In 2002, he established h concept. He aims to create products that can be appreciated not only by designers, but also by consumers, and offer +d, a collaboration brand with designers, to the world. He handles various consulting services such as Design Consulting, Japan Brand, and Local Industry Promotion Consulting. 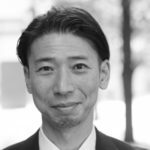 Graduate of Waseda University, School of Political Science and Economics, Kazuya Shimokawa joined Nikkei McGraw-Hill, Inc.(currently Nikkei Business Publications. Inc). He was appointed NIKKEI EVENT editor and NIKKEI STORE DESIGN editor before being appointed NIKKEI DESIGN in 1994. In 1999, he was appointed associate editor and he has been chief editor since 2008. In 2014, he resigned Nikkei BP to establish Ideas & Crafts Lab. 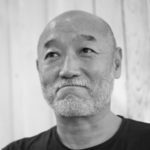 He was the business director for the 400 years Arita ware foundation in Saga Prefecture and chairperson for the ARITA VALUE CREATION LABORATORY from 2014 to 2016. In 2016, he was a support member in the LEXUS NEW TAKUMI PROJECT. Copyright © 2019 h concept DESIGN COMPETITION.